Why Choose RPM For Your Property Management Company? Our 3-Point screening process includes multi-state criminal, credit & eviction records, helping you avoid bad tenants. Most property managers only provide you with a credit report. We will list your property with over 100 rental directories ensuring short vacancies. We will find a qualified tenant for your property in 45 DAYS OR LESS. If it takes us a day longer, you won’t pay a penny to get a tenant in your property. No other property manager offers a stronger guarantee. If your tenant doesn’t pay on time, WE WILL pay you ON TIME, EVERY TIME. You’ll never have to worry about a tenant paying late. Get your money when you need it, every month. 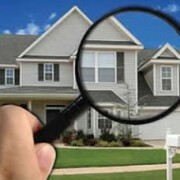 Although we thoroughly screen every tenant, people still lose jobs, fail to pay rent, hide pets or disturb neighbors. If a tenant violates the terms of the lease for any reason, WE WILL PAY the cost to evict your tenant, simple as that. We will never charge you for a marketing fee or startup fee. We also have in-house maintenance staff. Many other property mangers advertise low monthly fees but overcharge for maintenance and have fees hidden within their contracts. Both owners and tenants can access our online portals anytime day or night to see statements, ledgers, past invoices, repair bills, leases and other important documents. Unlike other property management companies, we ensure that your property will stay in great shape with complete and thorough periodic Inspections – inside & out. We handle every emergency maintenance call and take care of the repair at a reasonable price. If it’s going to be a larger ticket item, we will run the cost by you before the work is done. NO MORE SURPRISES! If you’ve ever hired a Property Manager before, you’ll know how important this is. If you’ve never hired a Property Manager before, see the difference for yourself: call and leave us a message, do the same with our competition. Does your management company even KNOW their days on market number? Home of the Midwest’s Triple Rental Guarantee! Curious about what your property should rent for? Get a free rental report for your market. I would like to thank the support staff for their amazing efforts during some challenging times. Managing several properties from over 500 miles away is not easy. They were there to help me when I needed it most. You delivered what you said you would and you gave great guidance and advice. Again, you rock and thanks for your help and hard work. Please share with your manager. 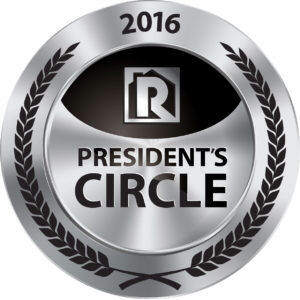 I am very happy to give RPM Midwest a 5 star rating on property management! The large staff that takes care of a myriad of questions and problems makes this high rating possible! Thanks a million for your first rate quality service! They have saved me thousands of dollars over the last year or so. I know exactly what to expect every month because they let me know if there are any large expenses before I get sent my money, and when I have questions they actually answer the phone and answer them for me. Real Property Management is a full service property management and leasing service company based in Cincinnati, Ohio. RPM provides comprehensive real estate management, home rental, and apartment leasing services. With offices in Columbus, Dayton, Louisville, and Cincinnati, RPM Midwest manages properties in or around every city throughout Southwest Ohio, Northern Kentucky and Louisville. Our experienced team of professional property managers work hard for homeowners, investors, and tenants alike, throughout the communities we service. Contact us to find out why we are 300 offices strong and growing! Access our 24/7 Portal and Tenant section. View Statements by logging to our owners portal, accessible online 24/7. 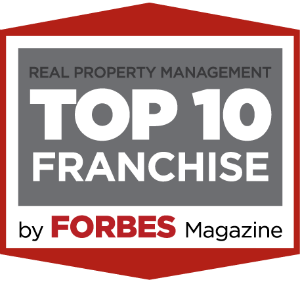 Find out why tens of thousands place their trust in Real Property Management.